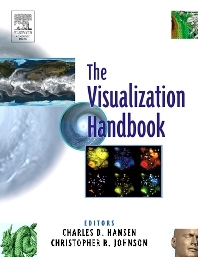 The Visualization Handbook provides an overview of the field of visualization by presenting the basic concepts, providing a snapshot of current visualization software systems, and examining research topics that are advancing the field. This text is intended for a broad audience, including not only the visualization expert seeking advanced methods to solve a particular problem, but also the novice looking for general background information on visualization topics. The largest collection of state-of-the-art visualization research yet gathered in a single volume, this book includes articles by a “who’s who” of international scientific visualization researchers covering every aspect of the discipline, including: · Virtual environments for visualization · Basic visualization algorithms · Large-scale data visualization · Scalar data isosurface methods · Visualization software and frameworks · Scalar data volume rendering · Perceptual issues in visualization · Various application topics, including information visualization. Covers a wide range of topics, in 47 chapters, representing the state-of-the-art of scientific visualization. Engineers, computer scientists, economists, demographers, and medical practitioners concerned with modeling/visualization of large data sets. Professor Johnson directs the Scientific Computing and Imaging Institute at the University of Utah where he is a Distinguished Professor of Computer Science and holds faculty appointments in the Departments of Physics and Bioengineering. His research interests are in the areas of scientific computing and scientific visualization. Dr. Johnson founded the SCI research group in 1992, which has since grown to become the SCI Institute employing over 100 faculty, staff and students. Professor Johnson serves on several international journal editorial boards, as well as on advisory boards to several national research centers. Professor Johnson has received several awards, including the the NSF Presidential Faculty Fellow (PFF) award from President Clinton in 1995 and the Governor's Medal for Science and Technology from Governor Michael Leavitt in 1999. In 2003 he received the Distinguished Professor Award from the University of Utah. In 2004 he was elected a Fellow of the American Institute for Medical and Biological Engineering (AIMBE) and in 2005 he was elected a Fellow of the American Association for the Advancement of Science (AAAS).